Bankruptcy Greeley: Renting After Declaring Bankruptcy? If you are currently remaining in a home that you cannot afford because you are scared that you will be unable to find a house or an apartment to rent once you declare bankruptcy, we understand. The prospect of declaring bankruptcy is a heavy one as it affects every aspect of your life. On the other hand, holding on to an expensive asset like a home is not doing you any favors. The good news is that you don’t have to. 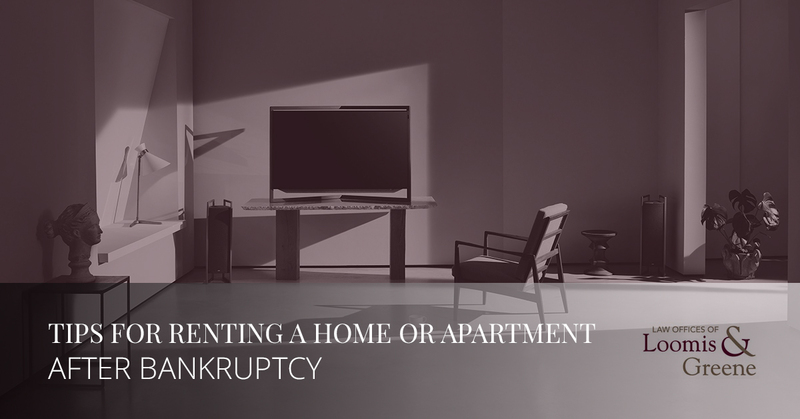 You can absolutely find a new place to live and rent after your bankruptcy if you follow the tips below from the bankruptcy attorneys at the Law Offices of Loomis and Greene. If you do not have a history of past places you have rented because you had to sell or give up your home during the bankruptcy process, you may have a bit more difficulty when you are trying to rent. However, all hope is not lost. You can absolutely use other referrals in the place of a rental history. If you have references from employers, friends, or someone else who can provide proof of your reliability, this will likely help to convince a landlord to rent to you. It is not uncommon that a landlord will ask for the first and last month’s rent when they are renting out an apartment or home. In the case that you have a low credits score and no rental history, you may need to offer a larger deposit than what is initially being asked of you in order to persuade the landlord to rent to you. This may sound difficult, but since you are coming out of bankruptcy, it’s likely that you will have fewer bills and debts to put our money toward, meaning you can stash away some extra cash for a deposit. The main goal of a landlord when they are renting a space is to put tenants in it that will take care of it and who will also pay their rent on time each month. When you give them a security deposit and a list of references, this will help. However, you will also very likely need to provide proof of income. 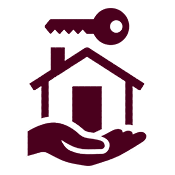 Most of the time, paycheck stubs can help to show what sort of money you are currently making so that the landlord can determine if what you make monthly is enough for you to comfortably pay your rent were you to move in. It’s well known that larger corporations will have more inflexible policies when it comes to the tenants they will rent to. When you choose a small firm or a private landlord to rent from, chances are you will find that there is a bit more flexibility when it comes to which tenants they will approve of. If you do have a low credit score, which is often very common when you have recently declared bankruptcy, you may need to have a cosigner on your lease. If this is the method you end up using to get the home or apartment you want, you can also ask if the cosigner can be removed from the contract if you pay your rent on time for a year. Anyone can be a cosigner including family and friends who have better credit than you currently do. Renting on a college campus gives you a bit more leeway as landlords are used to renting to people who don’t have high credit scores and who also lack rental histories. This can land you, however, in the middle of a bustling party neighborhood so be sure to find out what it’s like to live in the area before you sign anything. Honesty is imperative if you want to get the house or apartment you prefer. Explain your current situation to the landlord so that they can understand how you ended up there. Tell the landlord that you understand you may not be the top candidate based on your credit score or your bankrupt status, but that you are in the process and rebuilding your life and you would appreciate their understanding.